Hands-On Bible uses unique gizmos, games, and crafts to help kids learn about God, because kids retain more by interacting with a lesson instead of just hearing it. Jesus used everyday things to teach important truths - and now you can, too! 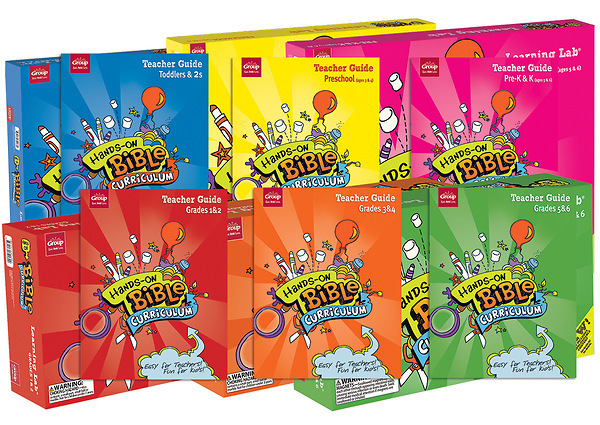 Discovering the Bible will be a fun, hands-on experience that gets kids excited about coming to Sunday School. Hand-On Super Set includes: 1 Learning Lab and 1 Teacher Guide from all 6 age levels.